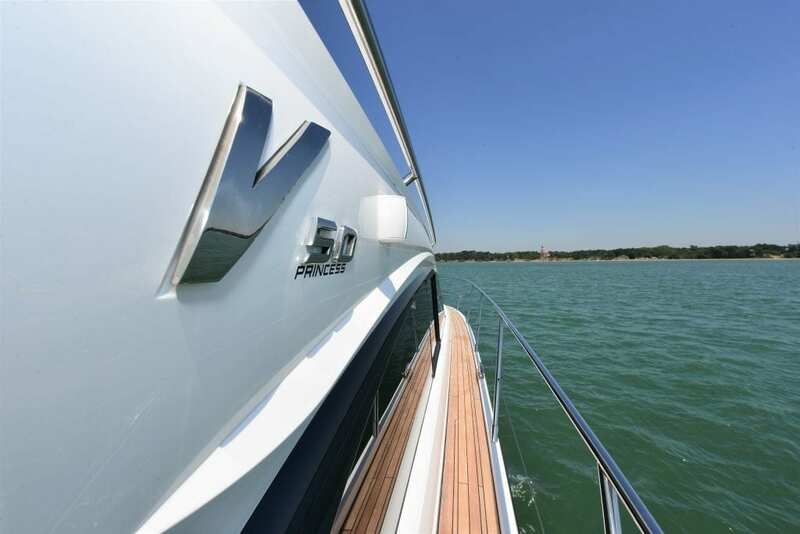 The versatile new Princess V50 replaces the much-loved Princess V48, with additions to interior design, technology and exterior profile lines. 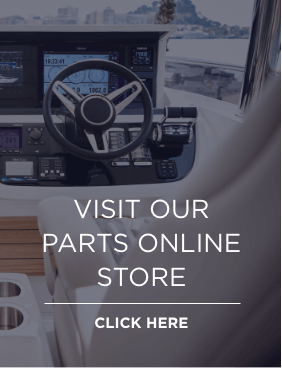 The favourable weather we have been experiencing in the UK gave us a fantastic opportunity to get out on the water on a Princess V50. 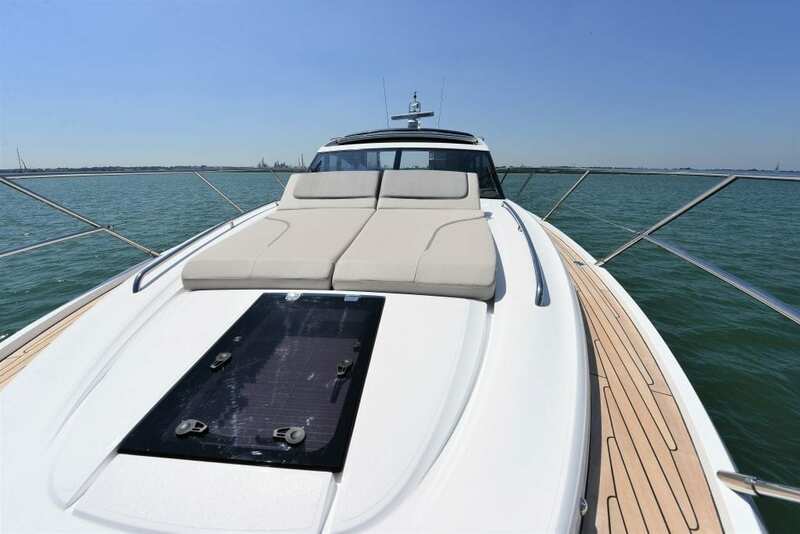 Alongside magazine editor, Nick Burnham, we took the V50 for a spin around the Solent, creating quite a spectacle in this adrenalin-filled sports yacht. 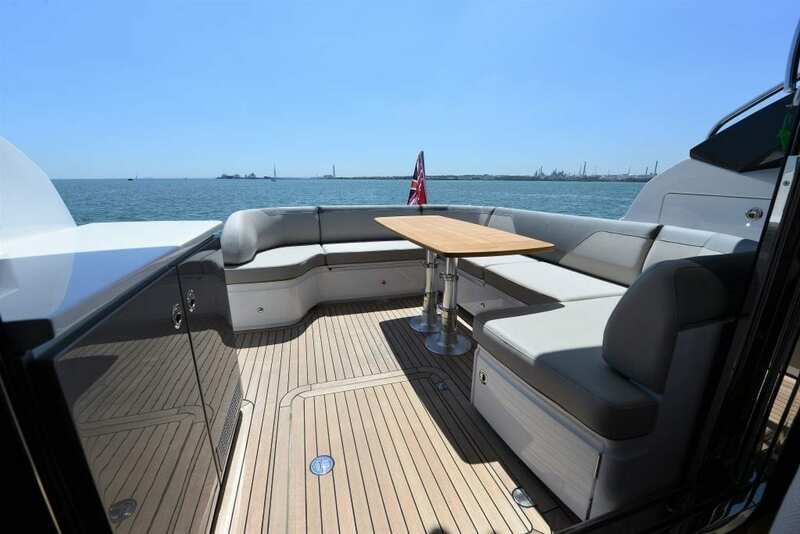 Reaching speeds of up to 32 knots, her impressive power and stability could really be felt amongst the calm waves whilst being able to enjoy her luxurious and elegantly styled interiors. 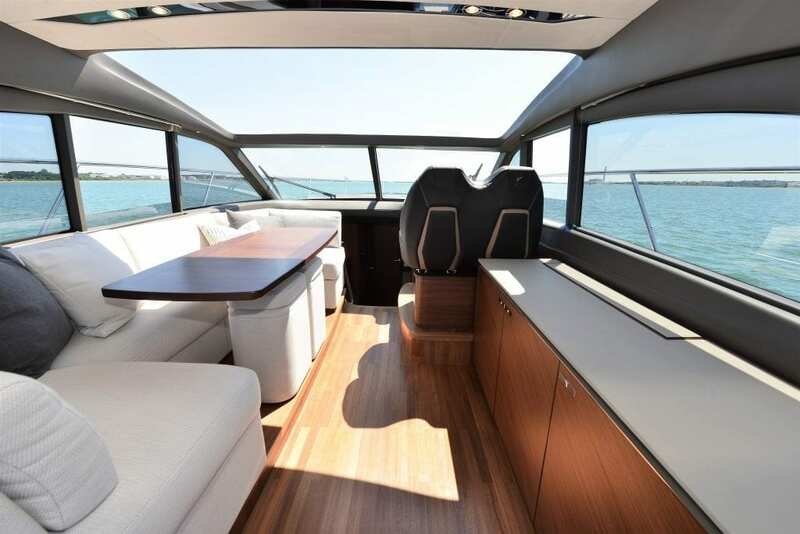 Dynamic port light windows cascade the length of her deep-V hull, flooding the saloon and cabins with natural light. 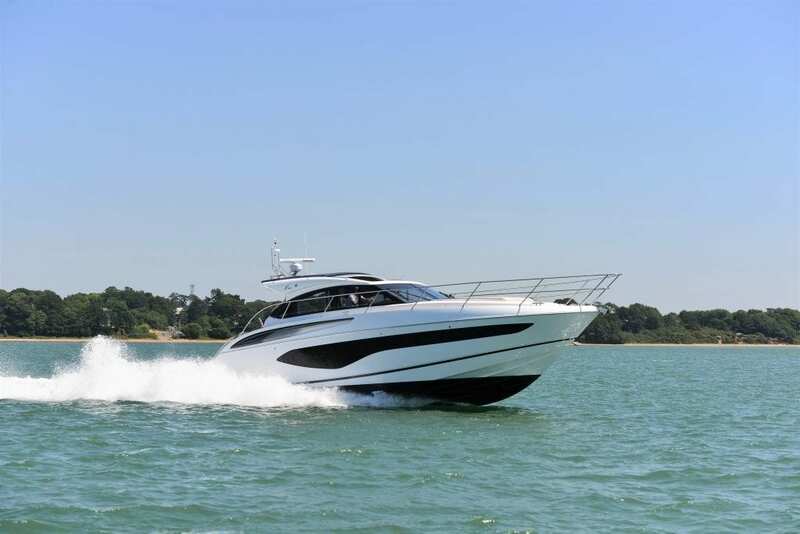 Her classic posture on the water is easily recognisable with her Princess quality and craftsmanship apparent.